The application process consists of three stages click on the tabs below for each step. Include a copy of the student applicant’s last year and current report card / transcripts (translated into English). 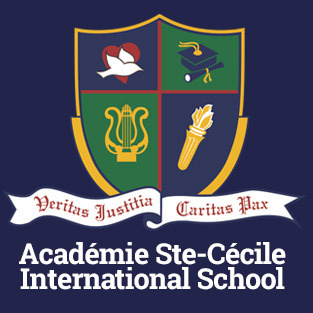 * Upon receipt and review of above forms by Académie Ste-Cécile International School , you will be notified in writing if your application has or has not been accepted. * Please be sure to include the student’s name on all transfers. In the case of electronic transfers, parents are responsible for all domestic and international service charges incurred. This money will be held in trust to the credit of the student. Once a Student Authorization and a Visa are granted to the student applicant, no part ofany amount paid to the school will be refunded. If a Student Authorization and a Visa are not granted to the student applicant, then, all amounts except for the application fee will be refunded. If the school does not accept your application, you will be encouraged to re-apply at a later date. The application fee will not be refunded. *If your application has been accepted, you will receive a notification from our admissions office which will include the school fee’s invoice. This must be done prior to your arrival in Canada. Take all ASCIS documentation to the Canadian Consulate General Office located nearest to you. At the Canadian Consulate General Office you will ask for an application for a STUDENT AUTHORIZATION AND VISA. 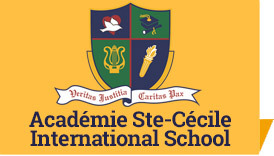 This must be completed in order to study in Canada and Academie Ste Cecile International School. You are responsible for all fees and expenses incurred in this process. Please Notify the Admissions Office of ASCIS once you have your STUDENT AUTHORIZATION AND VISA. Now it’s time to make your travel arrangements! * PLEASE NOTE: No part of any amount paid to the school will be refunded once a STUDENT AUTHORIZATION & VISA are granted to the student applicant. If a STUDENT AUTHORIZATION and VISA are NOT granted to the student applicant, all amounts (excluding the application fee will be refunded).